Joe Hoelscher is an award-winning criminal and family law trial lawyer whose dedication to vigorously defending his clients has earned him national recognition. 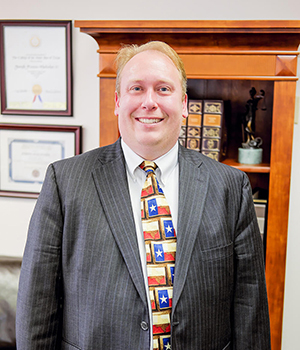 Having been involved with the legal system since his mother's disappearance and murder in 1986, Joe knows how tough court is on clients and families in need of legal assistance. As a result, he has dedicated his law practice to helping his clients navigate the legal system so they can gain closure and find peace.The Hoelscher, Gebia and Cepeda Law Office's holistic approach to client services frequently involves the use of experts and counselors to help clients develop their case while overcoming the problems that led them to be involved with the legal system, whether in civil, criminal or federal court. Hoelscher has deliberately staffed his office with successful professionals who share in the experience of having been in court as litigants, victims and witnesses so they can better understand their clients' needs. As a result, he has successfully represented clients in high-profile civil and criminal cases covered by outlets such as Crime Watch Daily with Chris Hansen, The New York Daily News, Washington Times and America's Most Wanted. Joe is a published author and regular speaker at public events and legal seminars. He advocates a client-centered approach to legal representation and aggressive trial-oriented approach to the law. Joe is a native San Antonian, graduate of MacArthur High School and has three graduate degrees from St. Mary's University and Baylor Law School. While practicing throughout Texas, he lives in San Antonio with his wife Melissa and three kids: Louisa, Cecilia and Wolfgang. He supports a variety of social causes through his pro bono legal work which focuses on children's issues, the rights of indigent accused, voters' rights and First and Second Amendment issues. Joe helped locate his own mother, missing 30 years.